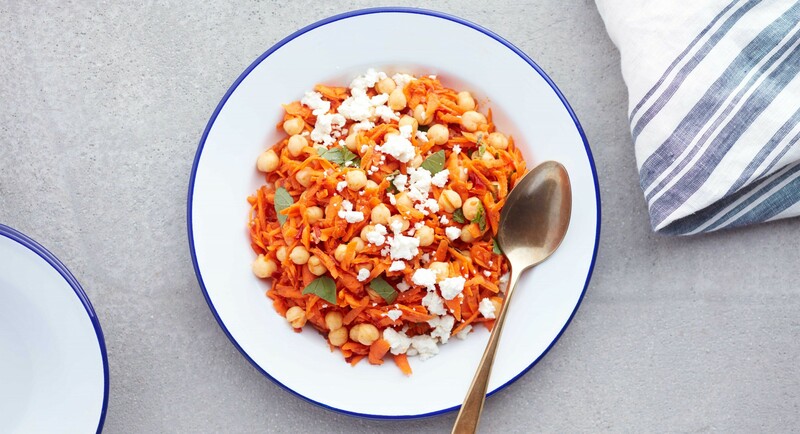 This spicy-sweet side salad is bursting with the flavors of Morocco: smoky harissa paste, earthy chickpeas, salty feta, and fresh cilantro and mint. Even if you're sensitive to heat, you'll like this one—the natural sweetness of the carrots mellows out the kick of the chiles. 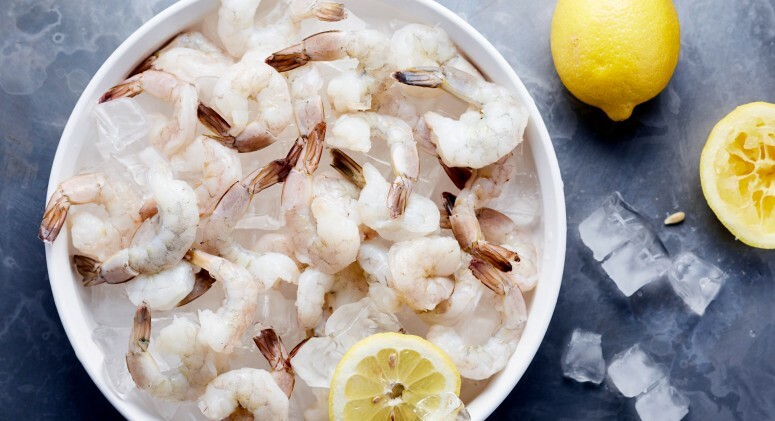 Stir together harissa, lemon juice and zest, honey, olive oil, and salt in a large serving bowl. Add carrots and chickpeas and toss to coat in dressing. Stir in chopped herbs and crumbled feta to serve.